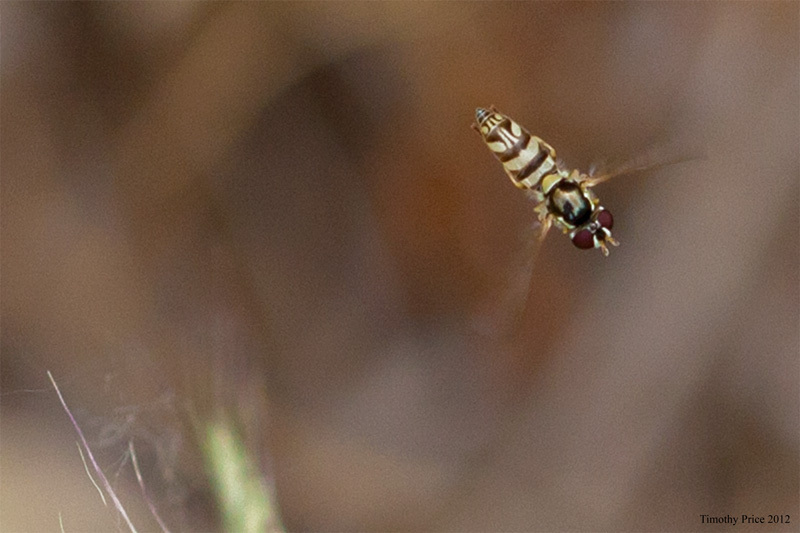 This tiny hovering bee was a difficult subject to capture. It’s so small that auto focus can’t see it, so I had to use manual focus, but while the bee does hover, it only stays in one spot for a second before it moves. I managed to get it in focus, and what’s even more interesting is that you can see my reflection in its shiny back. 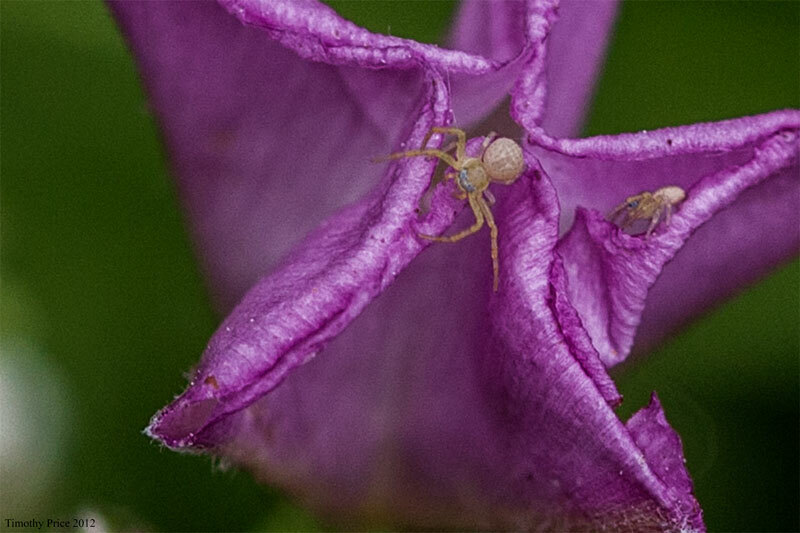 The crab spiders are no bigger than the tiny bee, but at least they held still. But my real prize for today is the black dragonfly. This dragonfly is like the “Night Fury” in “How to Train Your Dragon” as far as my auto focus is concerned — it detects something is there, but can’t see it well enough to focus. Auto-focus also has a hard time with black cats, but it’s a major fail on black dragonflies (Laurie thinks they should have a “black cat” mode on the camera). Therefore, I’ve had a hard time getting of photo of this dragonfly because when it hears the autofocus whirring back and forth it flies off. 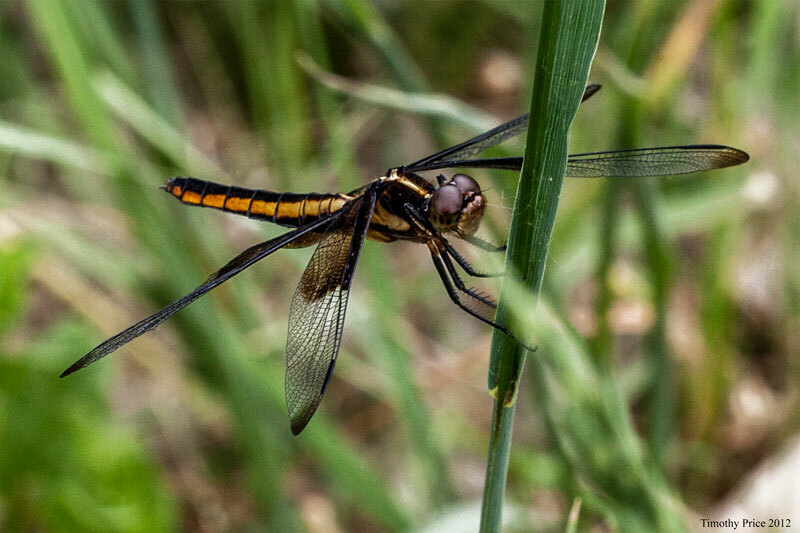 With my lens set on manual focus, I was able to sneak up on the black dragonfly and get it in focus, and in a decent position.